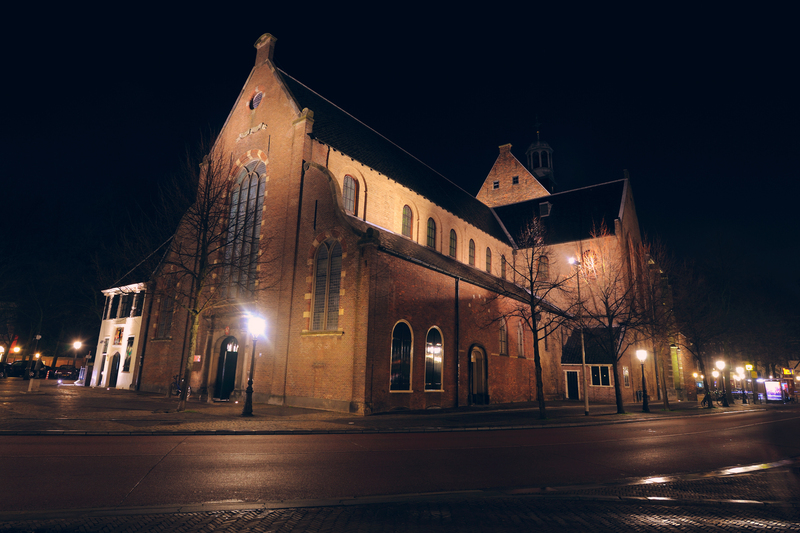 The Janskerk (Saint John‘s Church) stands proudly in the centre of Janskerkhof. A building with a turbulent past, to which its elaborate collection of architectural styles bear witness. Lek studio will lend a helping hand with the installation that live up to their names: licht en kleur in Dutch, light and colour in English. First, they take you along through time by elucidating the three architectural styles in their very own way. Romanesque: austere. Gothic: dramatic. 17th century: warm. The projection in front of the entrance lays light art right at your feet and enchanting light and sound lures you into a small avenue. It takes you to a tranquil place next to the church where a surprise is waiting behind the windows. 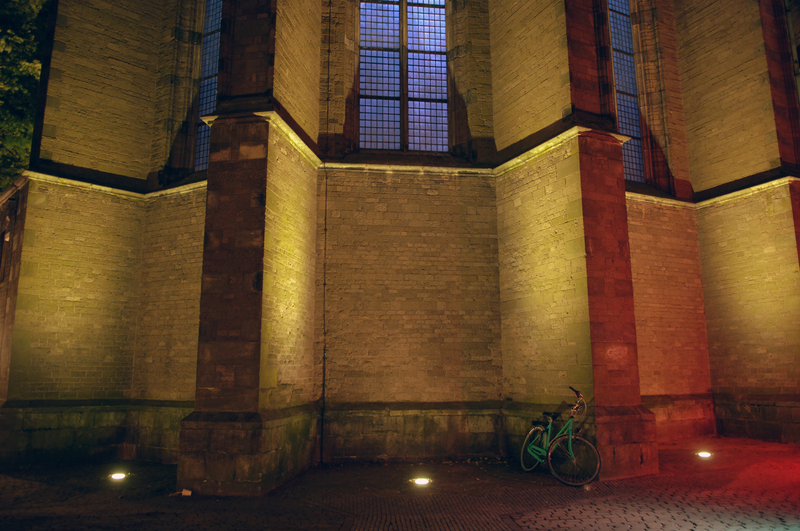 Lek studio light designers utilise light and colour to enhance the atmosphere in urban areas at night. 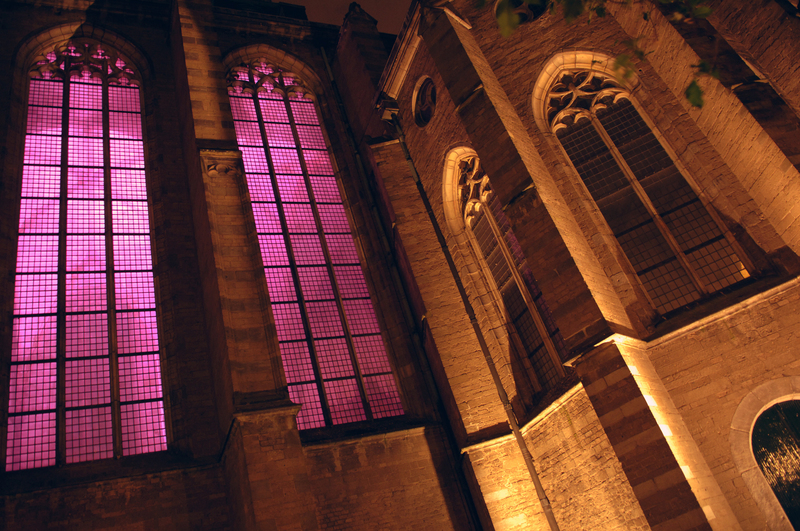 The lightart at the Janskerk (saint John‘s church) seen every 10 minutes counting from the moment of sunset.